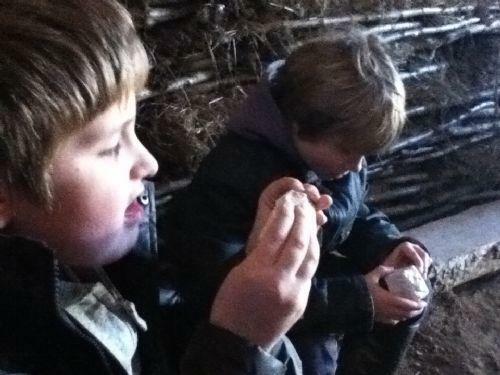 Year 3 and 4 have been learning about what life was like in the Stone Age, Bronze Age and Iron Age. 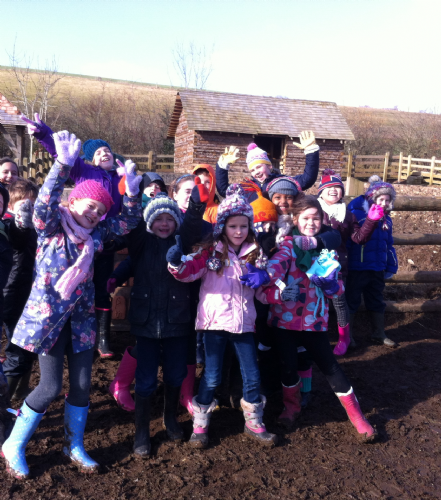 As part of our topic we visited Butser Ancient Farm and took part in lots of exciting activities. 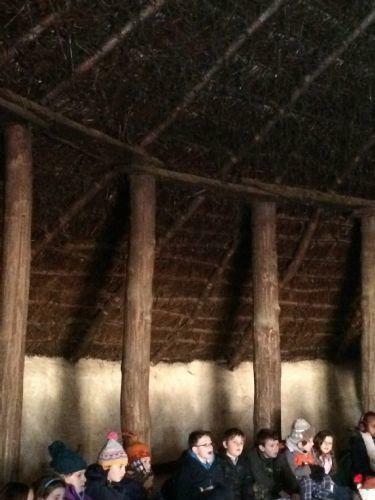 We sat in a replica roundhouse just like people in the Iron Age! 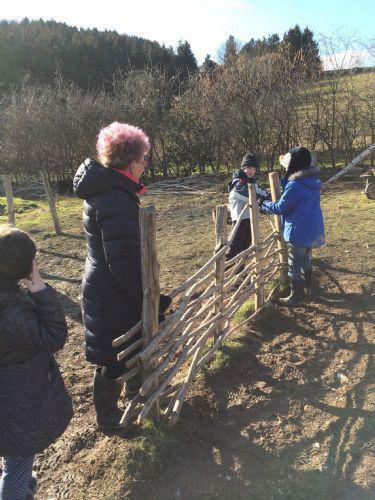 On our journey back in time we made Wattle fences using long canes of Hazel. 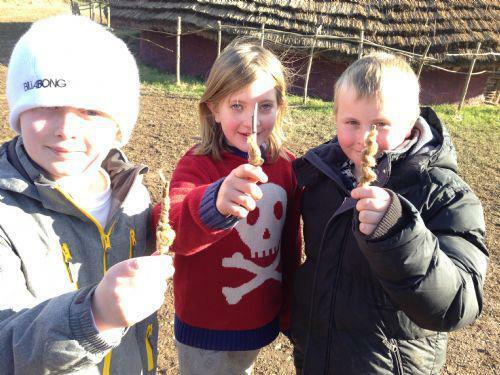 The Iron Age people used these to build the walls of their roundhouses and threw mud at them. This was called daub. 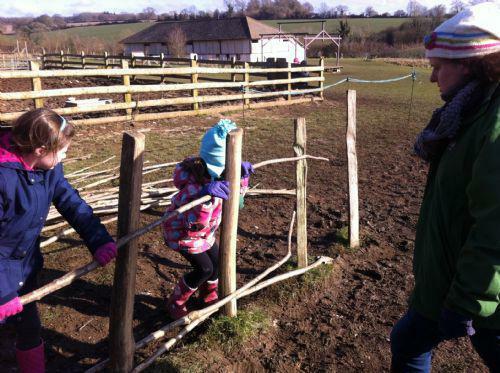 It was quite difficult to bend but we persevered. What a great fence! The animals won’t be able to escape now. 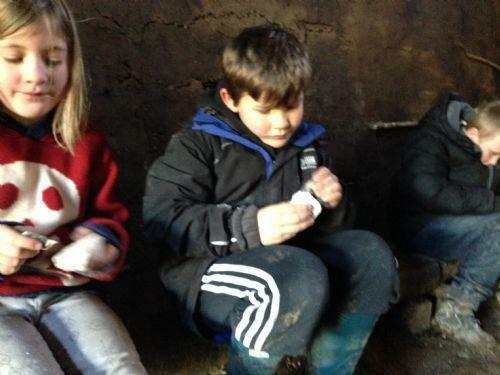 We met the Farm's pigs. 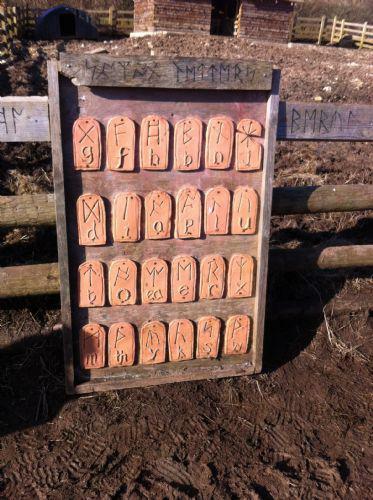 We used special symbols called runes to decode their names. This is how people wrote in the Iron Age. 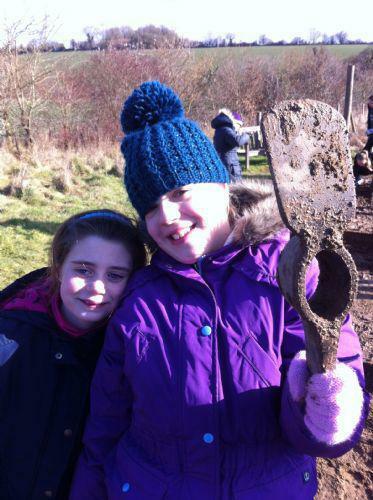 We became archaeologists and used trowels to carefully scrape mud away to reveal exciting artefacts. 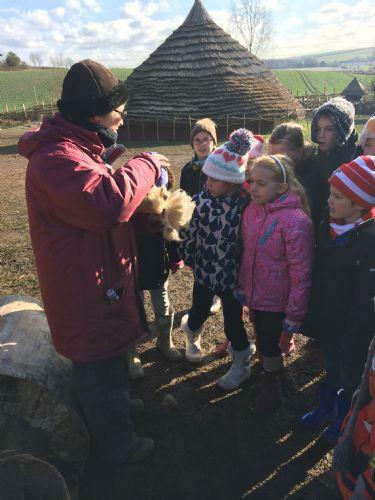 Continuing our journey back to the Bronze and Iron Age we spun sheep’s fleece to make wool. 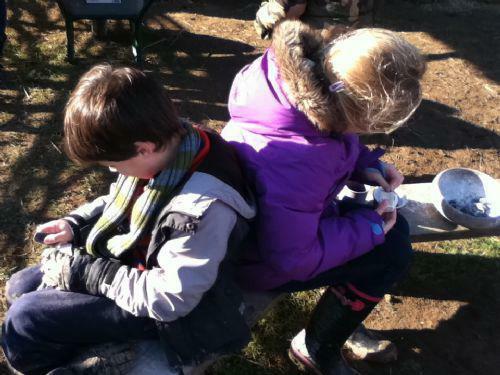 We used a drop spindle to carefully stretch the fibres in the fleece and spin it into a yarn. 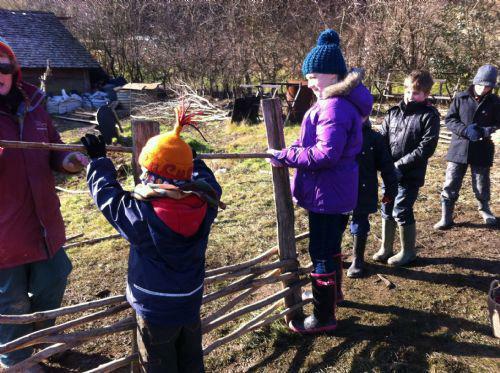 When we had finished we wrapped the wool around a twig so we could take it home. 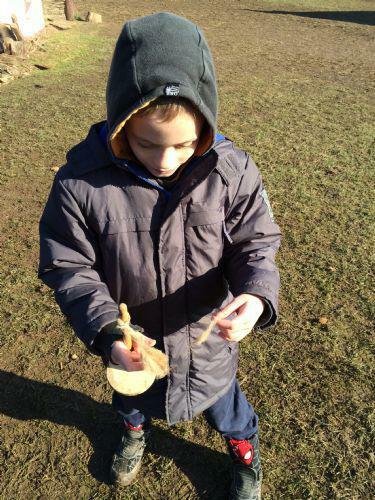 Finally we travelled back further to the Stone Age where we learnt about chalk carving. 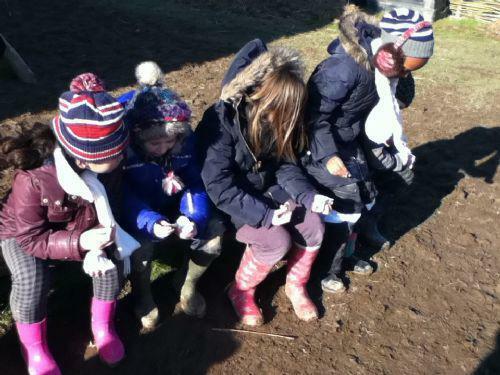 We each had our own piece of chalk and looked carefully to see if it was shaped like an animal. 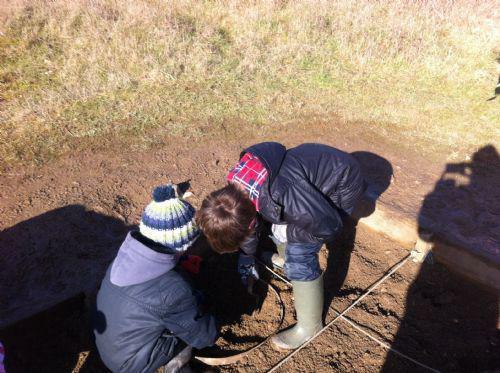 Then we used a sharp flint tool to carved exciting patterns into the chalk. 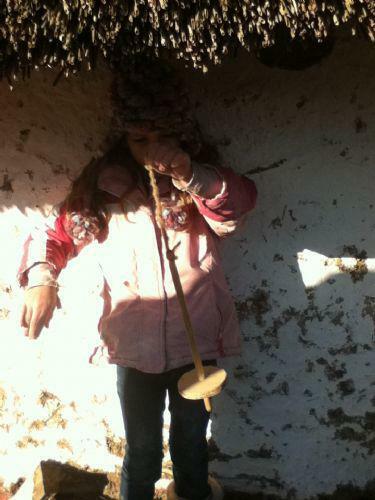 The Stone Age people believed that the chalk represented the Earth’s bones and was very special. 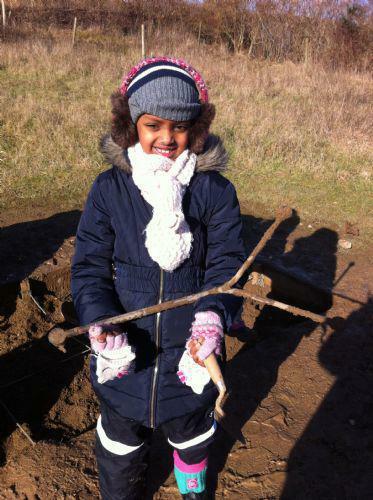 Check out the podcast to find out more about our amazing day.